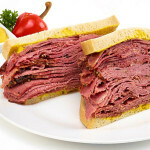 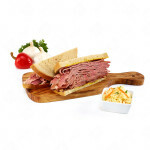 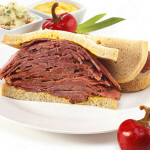 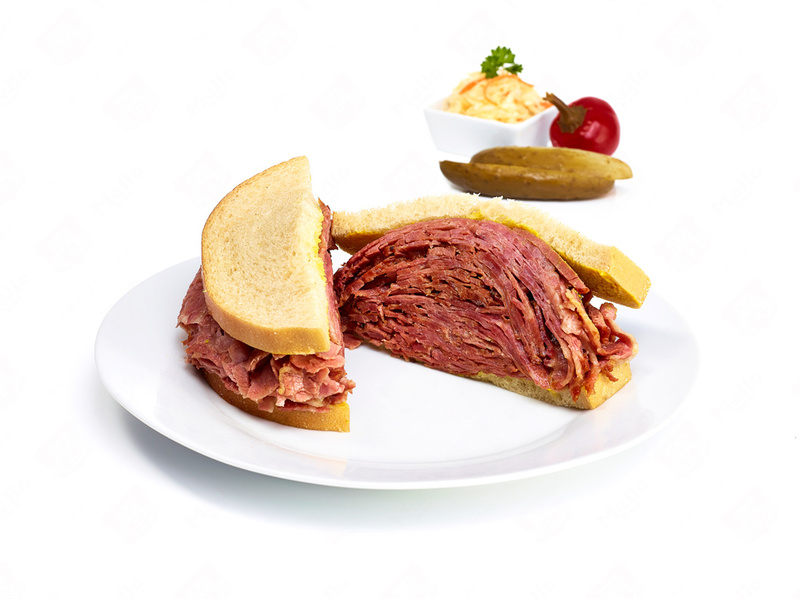 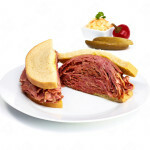 The Regular Smoked Meat Brisket is one of our most popular products. 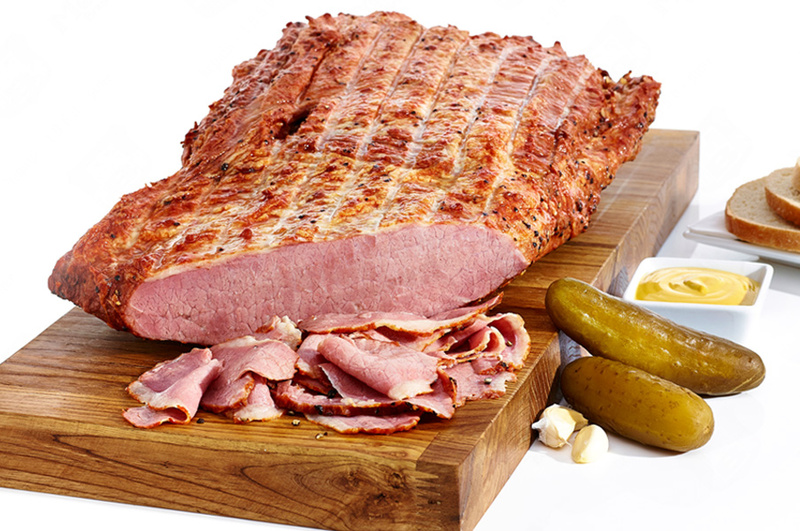 It is smoked to perfection and has its secret blend of spices that gives it its delicious taste that will melt in your mouth! 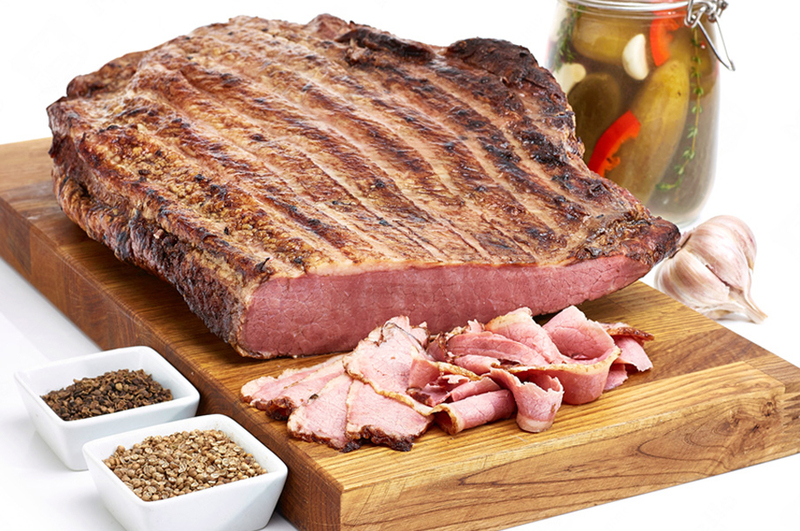 The Regular is one of our mildest briskets. 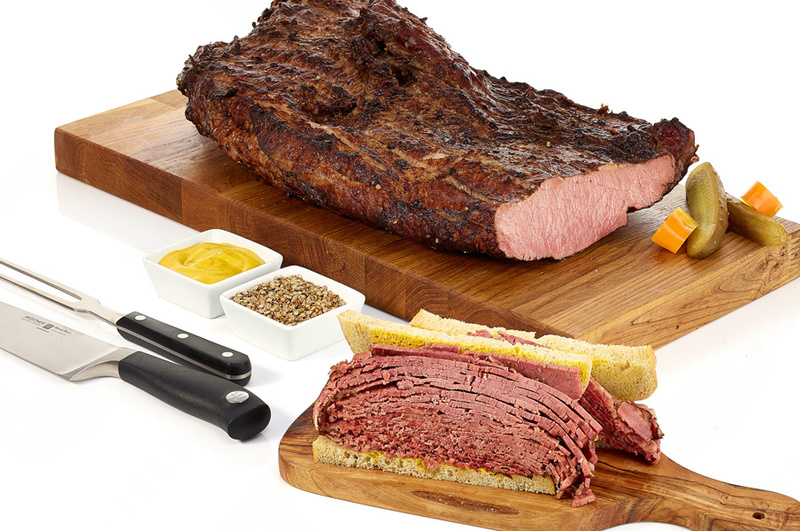 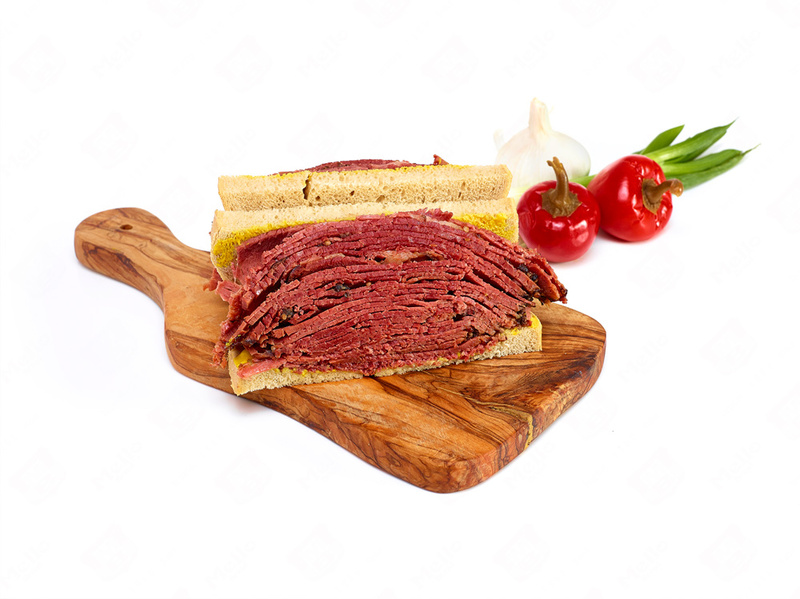 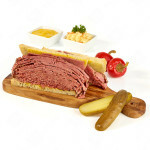 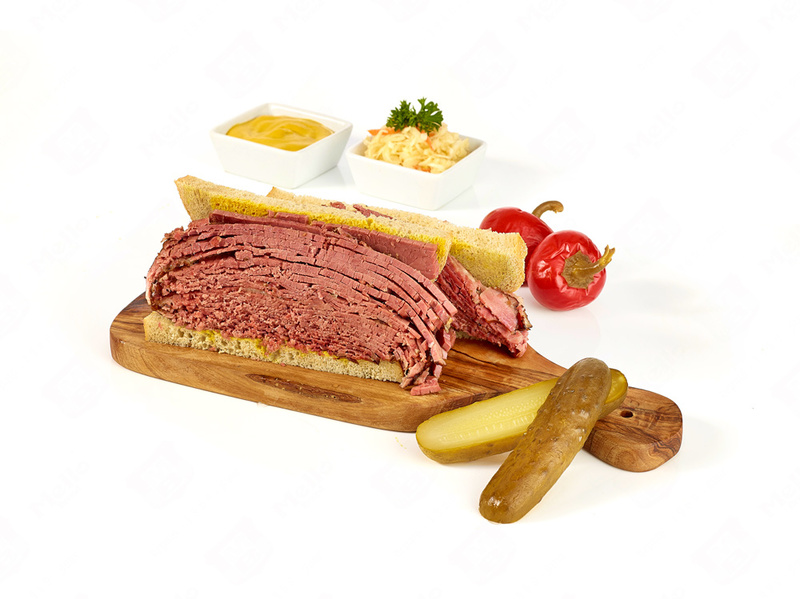 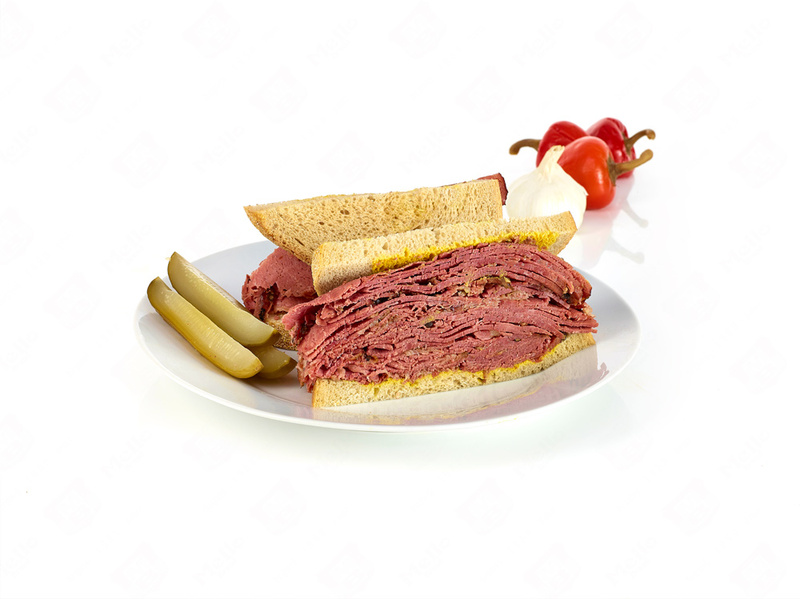 Along with the Regular, the Original Smoked Meat Brisket is also one of our best sellers. 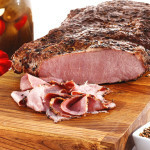 This brisket carries more cover spices such as cracked peppercorn than the Regular which gives this brisket its distinctive color and taste. 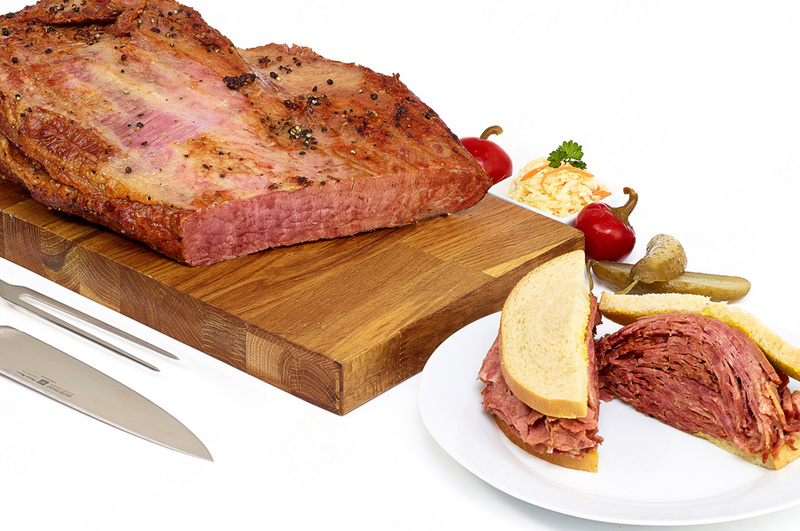 The Original Brisket is also slightly leaner than the Regular Brisket. 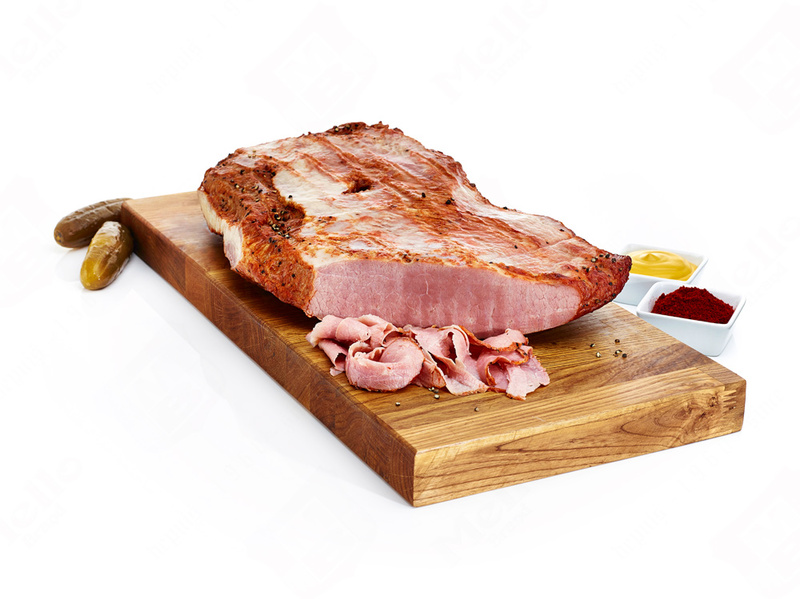 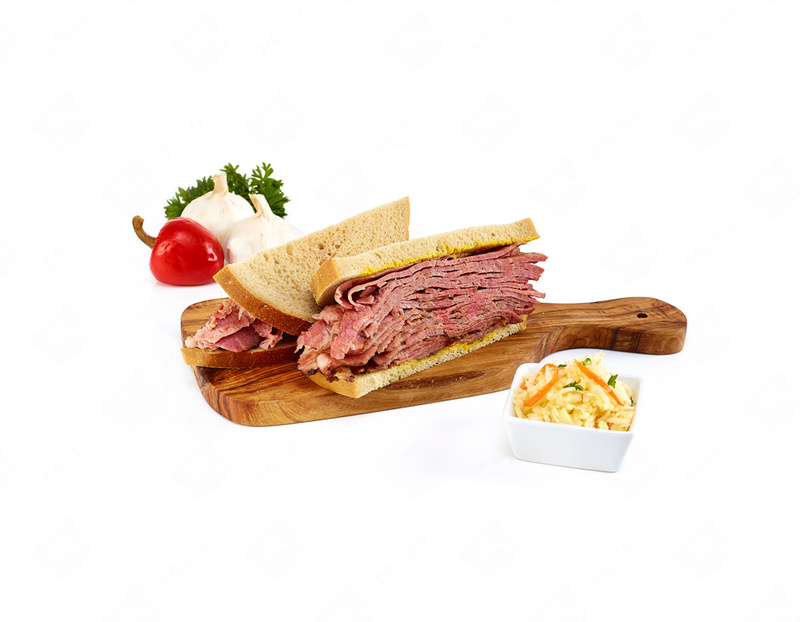 The same delicious smoked meat as the Regular Brisket is also available in a convenient pre-sliced 150g package. 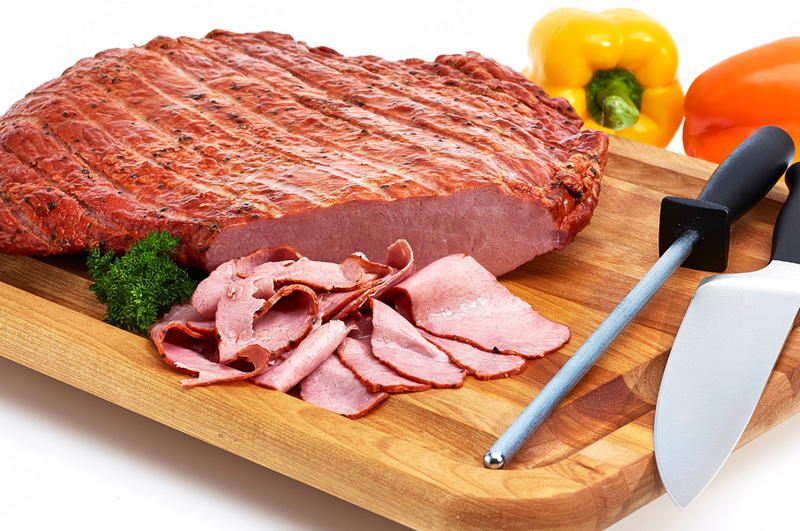 They are frozen and ready to be cooked when required. 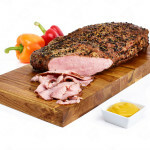 They can be simply heated up either in the microwave or boiled in the pouch. 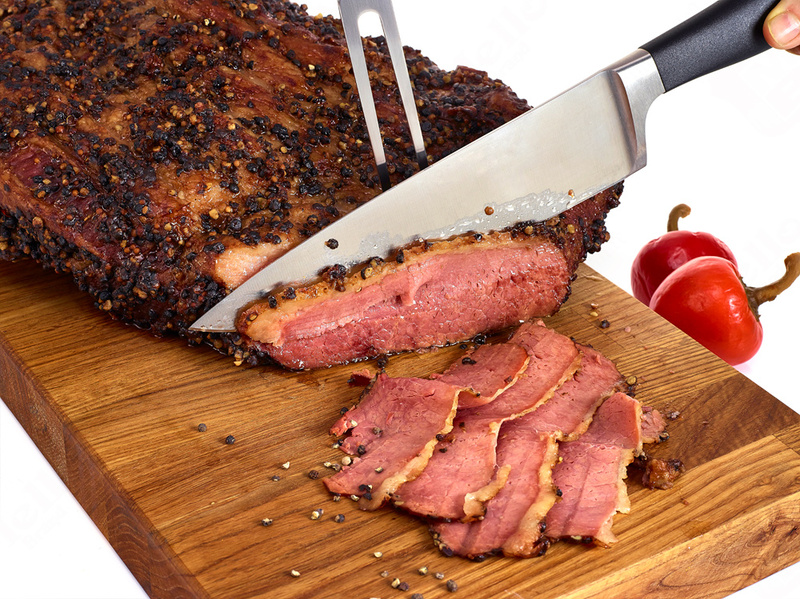 The Savoury Spice Brisket features the same specs and is cooked the same way as the regular brisket. 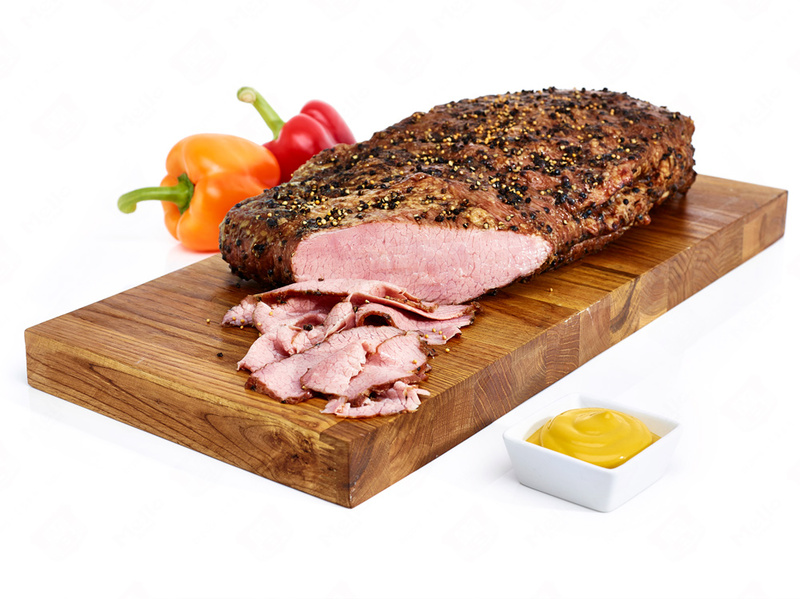 It features a light brown spice rub and more tasty cover spices. 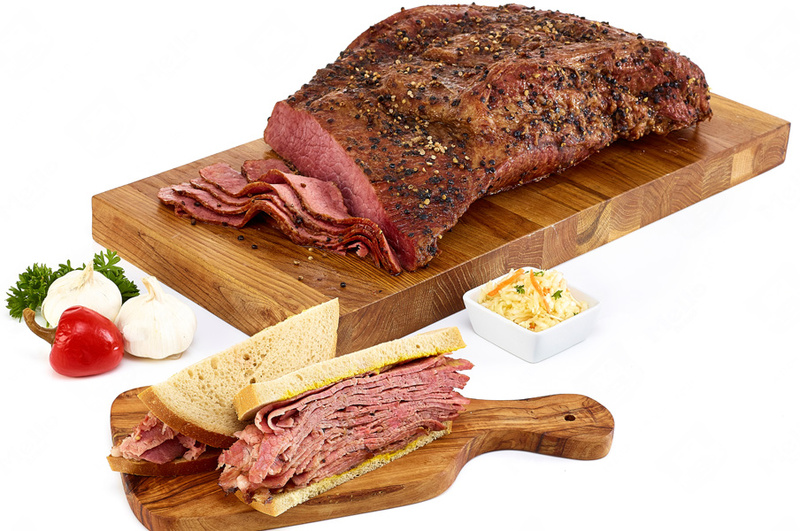 The Special Original Brisket carries even more delicious spices than the Original Brisket. 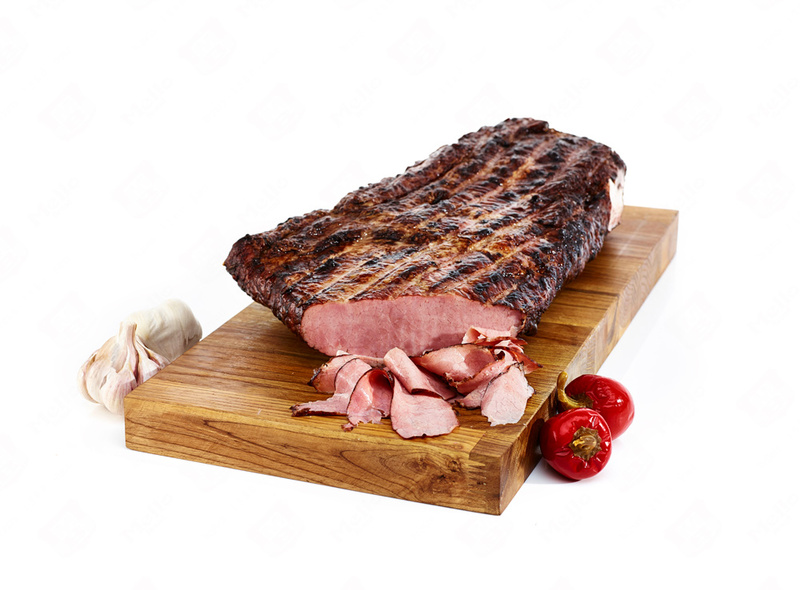 It has its own special cooking process which gives it a stronger full body taste. 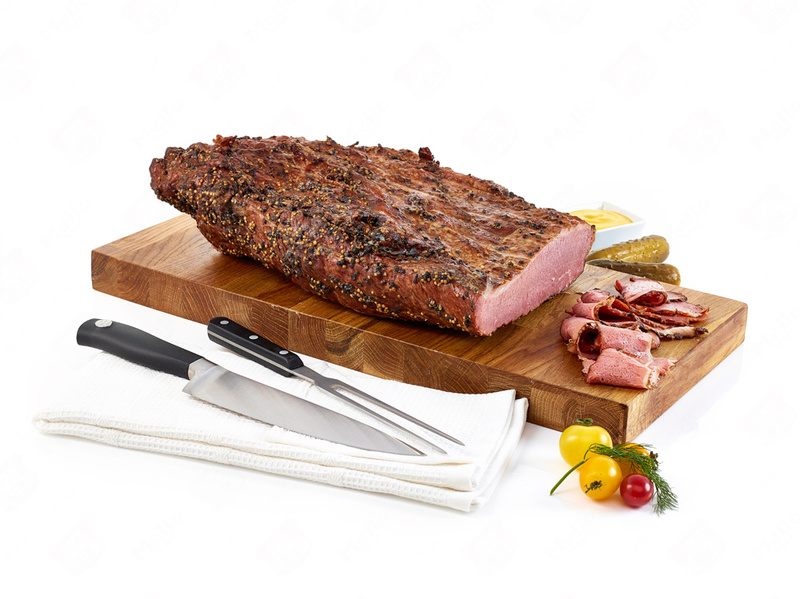 This brisket is extra lean and contains almost no surface fat. 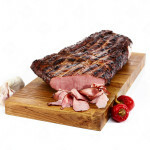 The “Dry Cured” Style Brisket is Mello’s premium brisket. 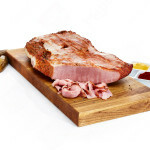 It has a low injection process and it is left to sit in its specially formulated brine for seven days before being heavily spiced with our delicious secret spice rubs. 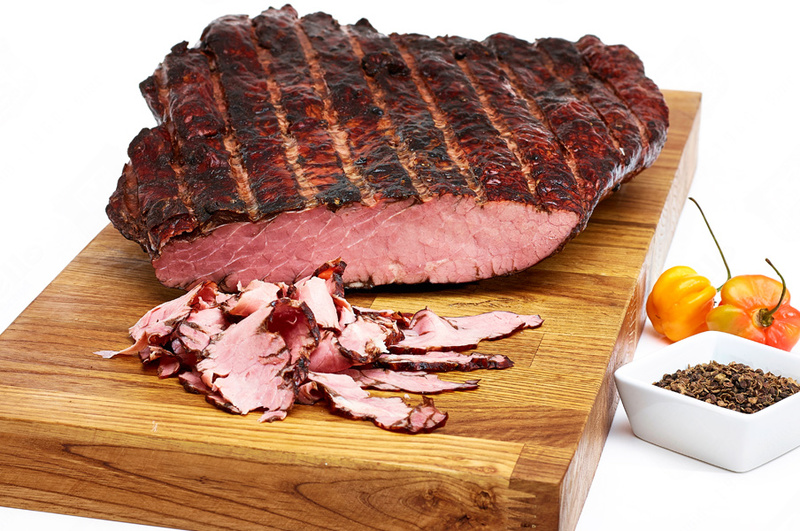 After it has been spiced, the “Dry Cured” Style Brisket is slowly smoked to perfection. 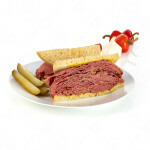 If you are looking for that pure Montreal smoked meat taste, than this is your product! 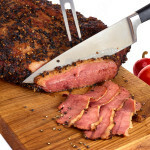 The Baby Beef Briskets are spiced and cooked the same way as the regular Smoked Meat Briskets, however, the surface fat is not trimmed giving it its distinctive look and taste. 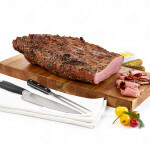 These specially selected briskets are spiced and cooked the same way as the regular Smoked Meat Briskets, however, they are less trimmed after cooking leaving a bit more marbling on the brisket. 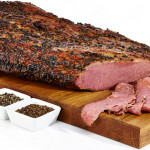 Smoked Meat Center-Cuts are perfectly seasoned briskets that have been removed of all surface fat. 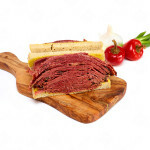 They are the leanest smoked meat briskets you can buy!